A YOUTH club known for its work with teenagers in Kentish Town has had its funding halved. 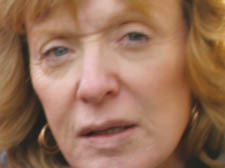 Eleanor Botwright, director of Castlehaven Community Association, has warned that the loss will mean a cut in staffing. She had bid for more council funding to run Haven Youth Club, used by more than 330 young people, but saw the £52,000 annual grant slashed to £24,000. She warned that, without the services her youth club offers, many of the teenagers aged 13 to 19 who use the club in Castlehaven Road would be at higher risk of committing a crime. A council press official said: “The council’s Youth Offending and Youth and Connexions Service has an available funding pot for this financial year of £450,000. However, it received funding applications from 22 groups which in total applied for £937,631 – nearly half a million pounds more than was available.